Please state the number of adults and children (up to a maximum of 6 people) on the enquiry form. 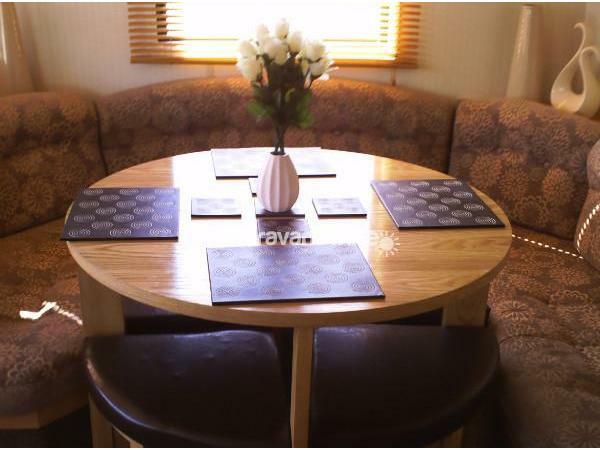 Our recently fully modernised ABI Arizona deluxe caravan is situated in a lovely, peaceful area of the Presthaven Sands Beach Resort Holiday Park in Prestatyn North Wales. 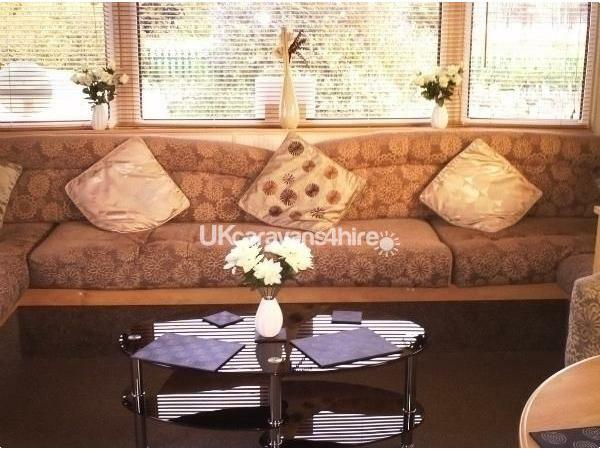 The caravan overlooks the stunning views of the welsh mountains. 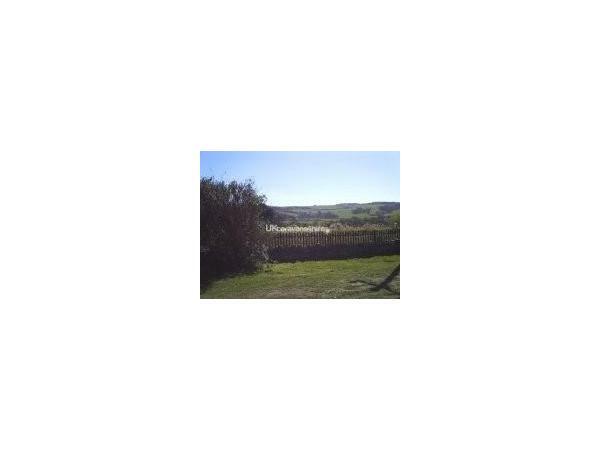 The caravan is within a five minute walk from all amenities on the complex but far enough away not to disturb a good nights sleep. 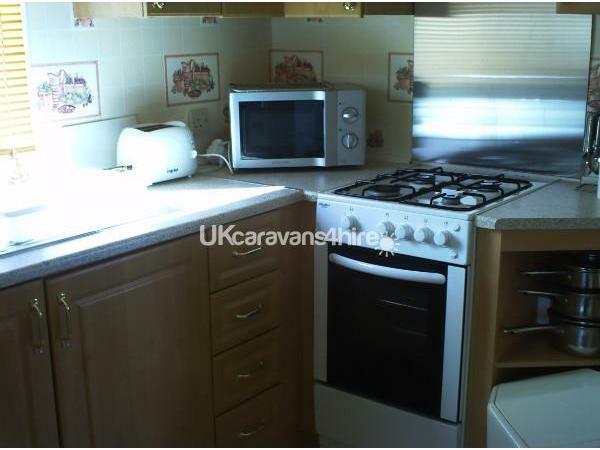 The caravan has all the facilities for a self catering holiday including a fully fitted kitchen, with a new gas cooker and hob, fridge, microwave, toaster and kettle. All cutlery and crockery supplied. 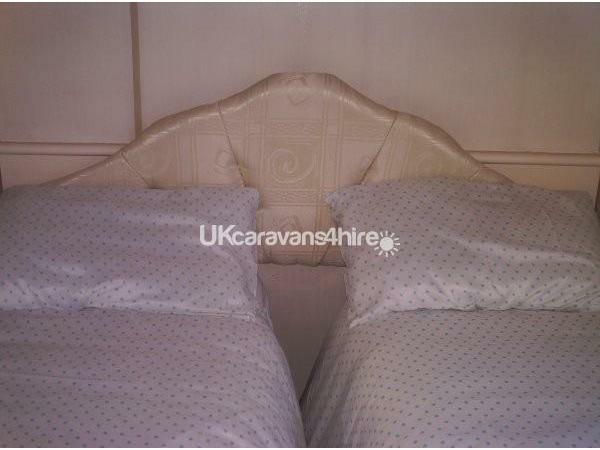 There is a carbon monoxide device in the caravan for your safety. 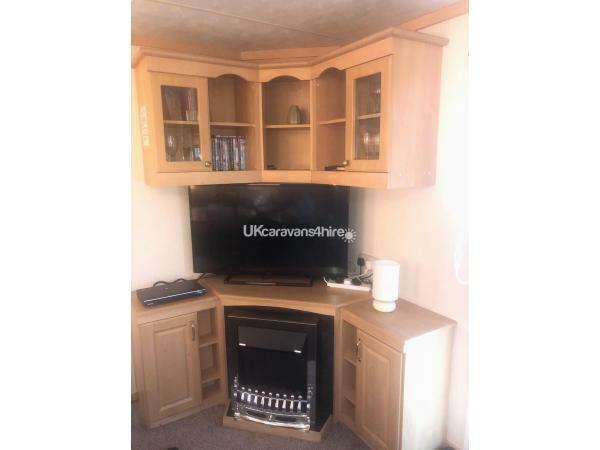 The caravan has a spacious lounge area including a 32" free view television, dvd player with dvd's for children and adults. An electric fire and portable heater for heating. 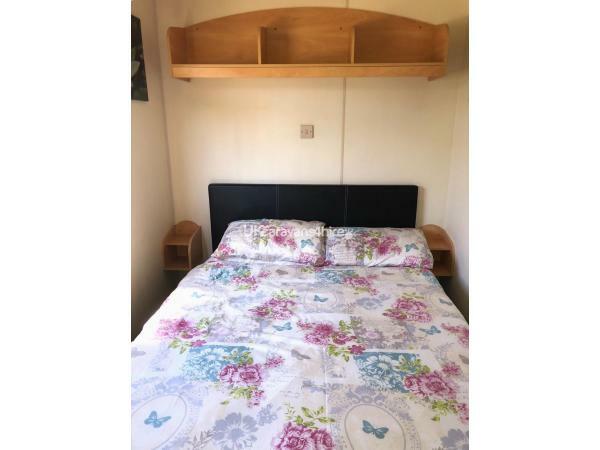 The caravan can occupy up to six people and has three bedrooms, one double, two twins.The double room consists of a full size double bed with a memory foam mattress for optimum comfort and has excellent storage space. 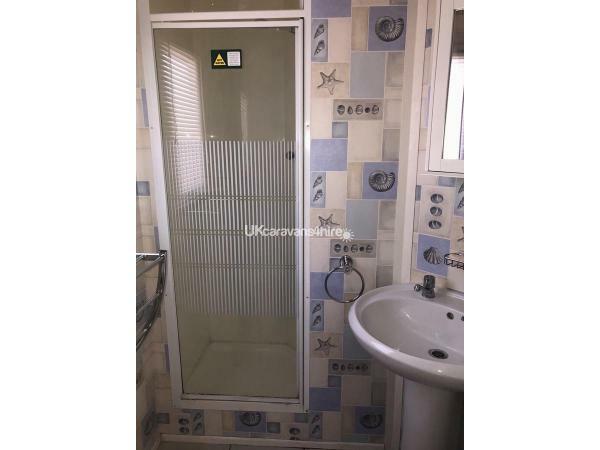 All bedding supplied (Please advise if you wish to use your own bedding) Modern Kitchen and upgraded bathroom with ceramic tiled floors in both and also carpeted through out the other rooms .Outside table and chairs and barbecue set provided. To use the facilities at Presthaven Sands Beach Resort Holiday Park you will need to purchase a Fun Works Pass for all pools, entertainment venues and bars. The costs of these are not included in your holiday price, but can be booked in advance and are collected and paid for by yourself on arrival from holiday reception. Peak dates are School holiday & Bank Holidays. Off Peak dates are all other dates. PEAK Prices 7 nights - Adults £39, Children £20 per week - Max capped limit is £178 per week. OFF PEAK Prices 7 nights - Adults 26.50, Children 13.75 per week - Max capped limit is £128 per week. At the time of booking a £50.00 non refundable deposit is required to secure the booking and then 4 weeks before your holiday the final balance is due, along with a £50.00 retainer fee.. The retaining fee will be refunded within 7 days after your holiday providing the caravan and it's contents are left undamaged or items missing and left clean and tidy. The date you wish to book will only be reserved once the deposit has been paid. Should a booking be made within 4 weeks then the deposit, retainer fee and balance are due at the time of booking. We will not allow bookings of groups of the same gender. Bookings can not be made by anyone under 25. 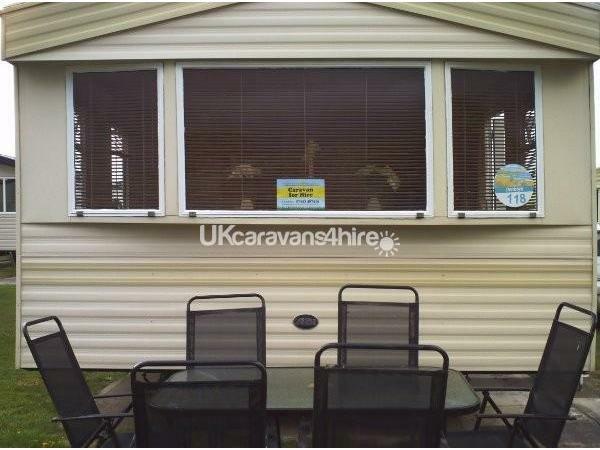 (See Presthaven Sands terms and conditions).This is a strictly no smoking caravan. If found that smoking has taken place the retaining fee will be forfeited to allow deep cleaning of the furnishings. Please note no pets are allowed. Arrival times are 3.00pm and departures are 12.00pm. We add a personal touch by meeting and greeting our guests with the keys and we will also be there when you are due to depart. There is complimentary tea, coffee and sugar with a small milk in the fridge for a welcoming cuppa when you arrive. You should find your holiday home in good clean condition. If you should however have any problems then please contact me immediately. This is also our holiday home so I would appreciate it if you treated it with the care that it deserves!! Have a great time !! Thank you for the use of your fantastic caravan. My family and I enjoyed our stay immensely. I have stayed in a lot of caravans over the years and have to say yours is the cleanest and most well equipped that I have had the pleasure of using. The pictures on this site really don't do it justice. Thank you again. Hi it's paulgleaves, my family enjoyed our stay,it's a lovely caravan and would hope to rebook for next year for the week for the summer holidays. Many thanks please let me know.